The Spring Fine Arts and Crafts Festival will be April 14-15, on St. Simons Island, Georgia. 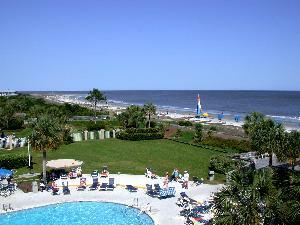 ResortQuest offers St. Simons vacation rentals to accommodate those attending festival. Art aficionados will find original art, pottery, paintings and much more at the Spring Fine Arts and Crafts Festival, April 14-15, on St. Simons Island, Ga. Sponsored by the Glynn Art Association, this year's festival, which will be held in Neptune Park, will feature local artists' original work, including: fine arts/graphics, acrylics, pastels, pencil, pen/ink, charcoal, printmaking, oils, watercolor, mixed media, glass, jewelry, leather, metal, photography, pottery, sculpture, textiles, fibers, baskets, wearable fashions and wood. Admission to the event is free. Artists participating in the event should call (912) 638-8770 for event information and booth fees. The entry deadline is March 15. Founded in 1953, The Glynn Art Association is the oldest member-supported not-for-profit art organization in Glynn County, and offer workshops and classes in drawing, pastels, painting in watercolor and oil/acrylic, photography and pottery. Additional information on the association maybe found at GlennArt.org. 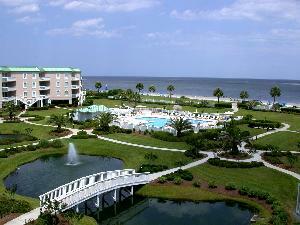 For more information about ResortQuest St. Simons rentals call toll-free 1-888-315-6060.